It's Okay to be Awesome! 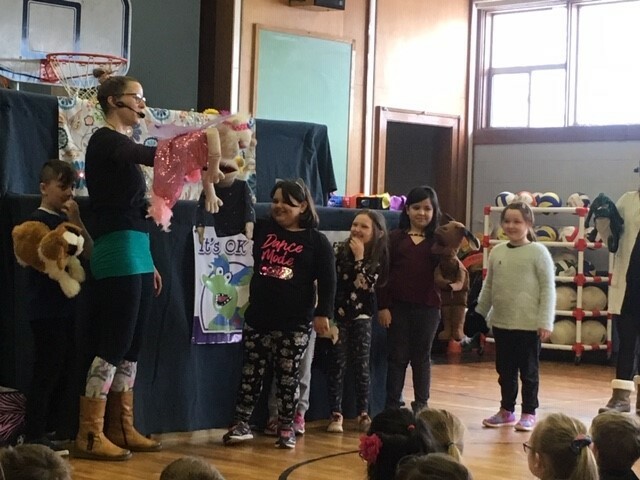 Students enjoyed the mental health presentation call "It's Okay to be Awesome" brought to us by the Home and School Association. Gr. 5 orientation to George St.
Parent Teacher Interviews will take placeThursday evening Apirl 4th and Friday morning April 5th . Teachers will be in touch with parents for times available to book an appointment. Please remember to send back your child's report card envelope. April 5th in the PM staff have professional learning sessions. There is NO SCHOOl for students April 5th. ​Reminder : No school for students on Friday. Staff have the day for report cards and professional learning. The March newsletter is now posted in the newsletter section of this website. Students who want to chew gum tomorrow , Thursday, Feb. 28th will be provided with gum. April 23 Bus delays and cancellations due to flood conditions.